Celebrate the holiday season with this classic Christmas bouquet. 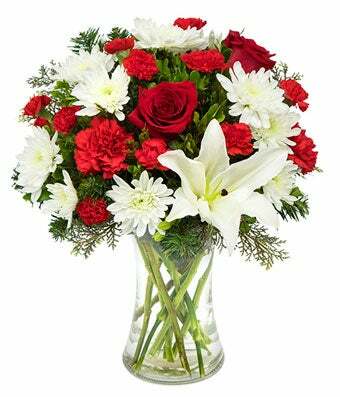 Your recipient of choice is sure to be joyful when they receive this arrangement of roses and lilies. Arrangement Height 10", Length 16"